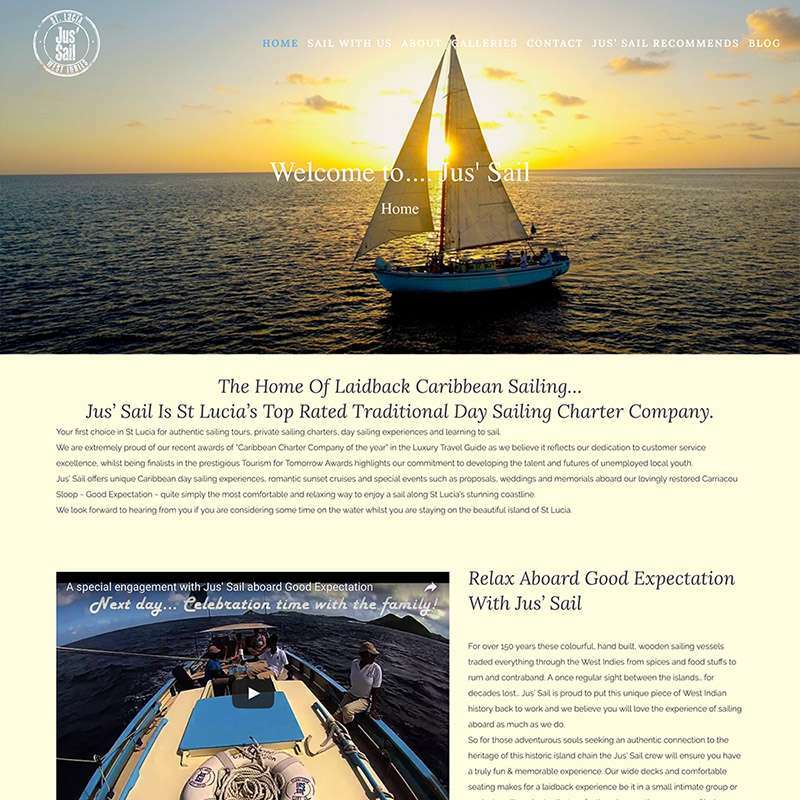 Laid-back sailing in Saint Lucia on a traditional Carriacou sloop. "We have used Mosaic for our website development, hosting and support for over five years now. They have always been the epitome of professionalism, helpful, considerate of our needs, budget and time frames. On the very rare occasion that anything has gone wrong, usually through some third party fault with our website, they have been extremely diligent in making sure the absolute minimum of time elapses before everything is up and running again. If we make a mistake they are always there to help rectify it. Something that we really appreciate. We receive compliments on our website from our customers and we are ourselves very happy with it. Mosaic is a company that will deliver for you, on time and to budget, with as much input or as hands off as you require. Highly recommended."